FSX P3D Boeing 737-800 Luxair package with enhanced VC. Luxair is Luxembourg's flag carrier based at Luxembourg airport. As of February 2018, Luxair operate 4 Boeing 737-800. 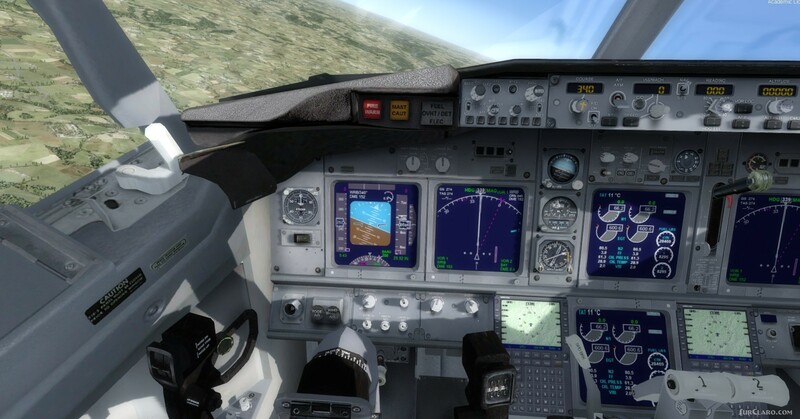 Native FSX model by TDS Tenkuu Developers Studio with advanced 737-800 VC added. Includes utility for ground services, Passenger bus, cargo, stairs, refuelling truck etc (find it under Views Instrument panel Util) The wonderful Boeing 737-800 from TDS will be enjoyed by many more people who do not know how to install a VC into a FSX native model. The VC is the Alejandro Rojas Lucena FSND fantastic revised Boeing 737-800 VC model. This VC model includes Working wipers (right mouse click on switch) with rain effect. Switches for LCD Screens, EICAS, PFD, MFT. Autobrake switch. Opening pilots window. Cabin Lights switch. FSX P3D Boeing 737-800 Luxair package with enhanced VC. Rating: 10.00 of 10 over a total of 1 reviews.